I snapped these pictures on Halloween night as we were in the car driving to trick-or-treat. Let me clarify by saying that Dirck was driving, not me. 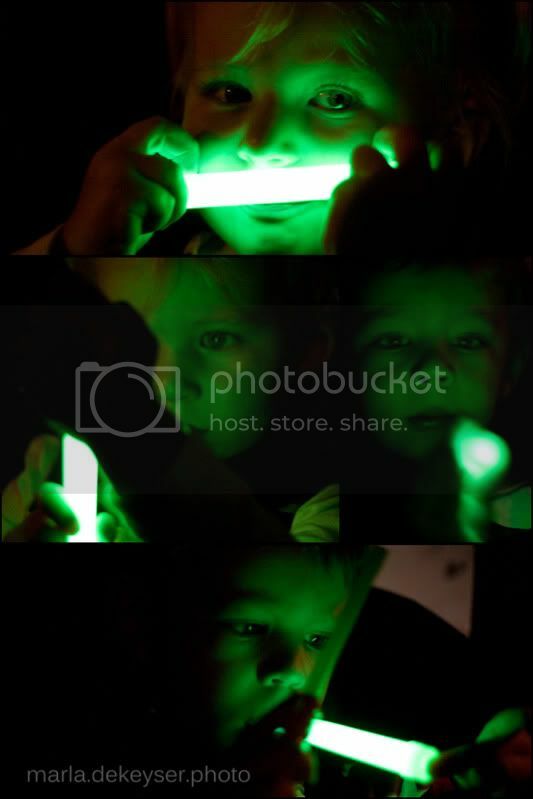 I loved the green-glow that these sticks cast on my munchkin's little faces. So much so, that I took a whole lot of pictures of them. They have no idea what it's like to live without a camera in their kisser all the time. That's Life, Man. . .